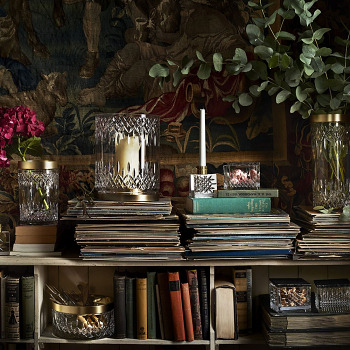 The remarkable Lismore story continues with the introduction of new giftware that combines various iterations of the world-famous pattern with elements of gold metal. The designers of today’s Lismore have created a unique version that features a ‘reflection’ image of the pattern at the top and bottom of each piece. Lismore Reflections feature contemporary shapes and are suitable for modern home décor and easy gifting, corporate gifts, desk- top and vanity.